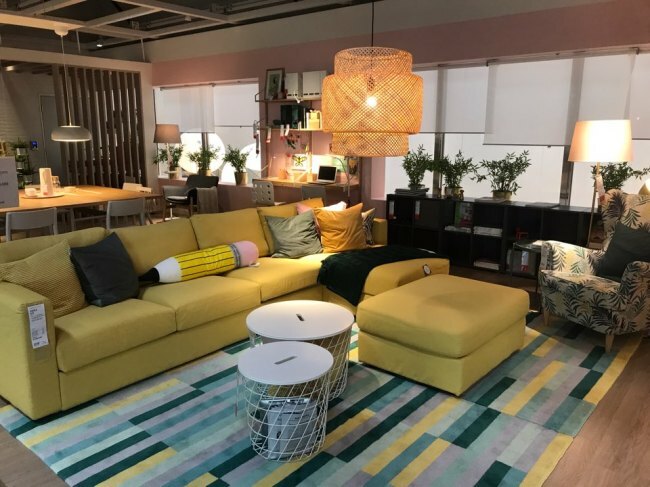 The second Ikea store in Korea will focus on offering environmentally sustainable and family-friendly home-furnishings solutions, said Ikea Korea Country Retail Manager Andre Schmidtgall at the press conference held at its new Ikea Goyang store, Thursday. The new Ikea Goyang is slated to officially open on Oct. 19. Situated at Gwonnyul-daero, Goyang, Gyeonggi Province, the store spans 52,199 square-meters in sales area, and has 2,379 parking stalls and 850 seats in Ikea Restaurant. Ikea currently has 355 stores in 29 countries. Schmidtgall, who has been living in the country for four years, conveyed his excitement and inspirations for opening the second store in Korea. He was joined by Cecilia Johansson, the Goyang Store Manager, who had managed the first Ikea store in Gwangmyeong, Gyeonggi Province, before. While the first branch is located in the southern part of Gyeonggi, the second is projected to attract residents in the northern part of the province and more consumers in Seoul. 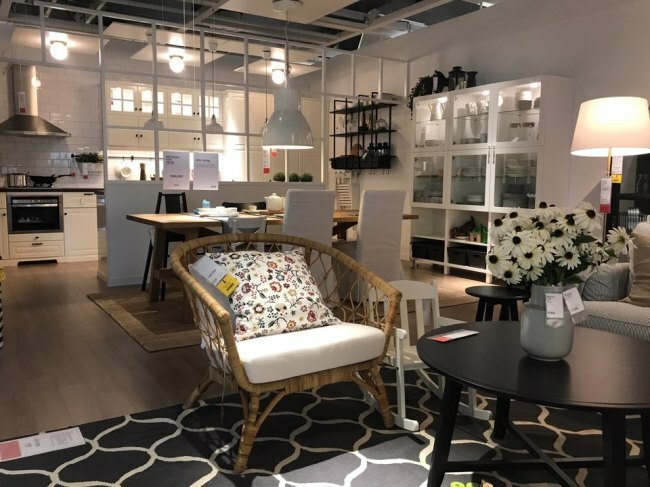 Prior to designing the Goyang store, Ikea visited some 100 households in the region in advance to research the living environment of locals and the distinctive characteristics of the regional demographics. The research found that the age groups of the resident’s children in Goyang city varies widely. Based off these findings the store has multiple areas which offer books and toys for teenagers and children, as well as an Ikea Cafe that carries Swedish confectionaries and beverages. Of the total 300 billion won ($264.5 million) budget for the establishment, 14 billion won (5 percent) went in to ensuring the environmental sustainability. The 4,446 solar panels decked across the roof of Ikea Goyang generate 1,422 kilowatt of electricity which is the equivalent to the monthly electricity use of 400 households. Geothermal energy is used for heating and cooling while water is recycled rain water and grey water. The toilet sinks use taps that save water consumption by 40 percent and the Goyang store also offers recharging booths for EV vehicles. Over 50 percent of its some 700 employees at Ikea Goyang are residents of the local area. The average age of the store’s workforce is 36, of which women make up 60 percent. Regardless of the form of the employment or the contracted working hours, Ikea said it gives equal opportunities to all its full-time and part-time employees in terms of career development and welfare. 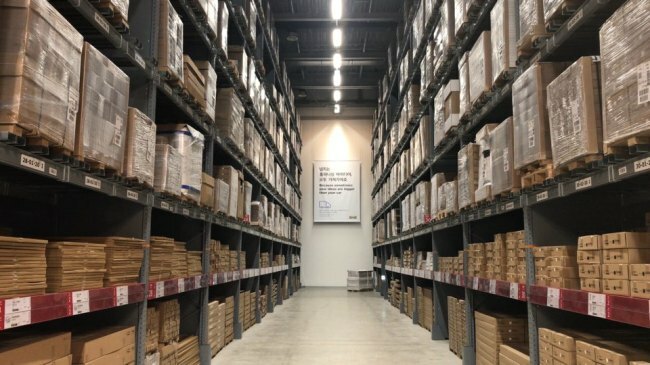 Schmidtgall said the Ikea Vision, shared by some 149,000 employees of the company across the world, is to create a better everyday life for people. In 2017, Ikea owned 415 wind turbines around the world, a bigger number than the company’s stores worldwide. Over 730,000 solar panels are installed at Ikea buildings. Ikea sold 85 million LED bulbs, up 20 percent compared to on-year. Total sales of Ikea in 2017 was 45.8 trillion won, up 3.5 percent on-year. In the cited period, 817 million visitors came to Ikea Group stores, a year-on-year growth of 4 percent. Online traffic saw 2.1 billion visitors to IKEA.com, a 9 percent growth on-year. 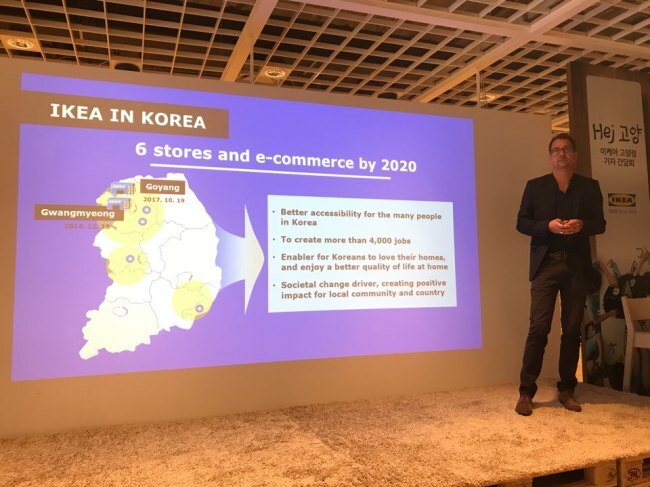 To answer the rising demand for more accessible stores, Ikea plans to create six stores and e-commerce by 2020 for better accessibility for the many people in Korea. Through this, Ikea anticipates to create more than 4,000 jobs locally. As of now, some 1,700 Koreans work at Ikea Korea stores. Schmidtgall said he wants Ikea products to enable Koreans to love their homes and enjoy a better quality of life at home. Ikea wishes to become a societal change driver, creating a positive impact for the local community and country. Visitors to the new Goyang store will receive presents on a first-come-first-served basis. Prior to the official opening day, the store will invite the Ikea Family members to a pre-open event for two days on Oct. 17 and 18. A pop-up apartment fitted with Ikea furniture will open through Nov. 19 at a Hoban Verdium flat at the 5th complex of Doraeul Maeul, just next to Ikea Goyang, to show how an existing Korean household can transform with Ikea products. In regards to the competition with the local multiplex shopping malls, Schmidtgall said Ikea fully abides by the regulations of the South Korean government and wants to always be on the customer’s side. 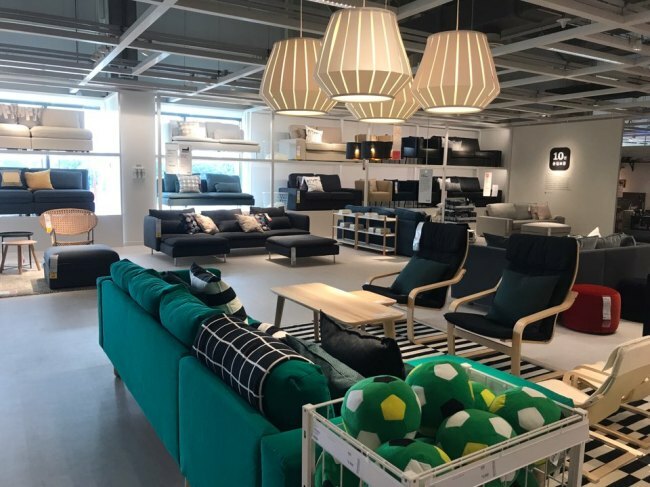 As the home-furnishings giant is categorized as a store that specializes in furniture, it falls under different sets of rules from the multiplex shopping malls that provide diverse merchandises, Schmidtgall said. When asked how Ikea will deal with the customers who wish to purchase high-end products without affordability as a concern, Schmidtgall said Ikea will always offer value for money. Ikea Goyang aims to become a good neighbor to the city's people. In June, 2017, Ikea held a Swedish cultural Midsommar Party for the residents of Goyang and also donated fire extinguishers to the small shop owners in the region and ensured soundproof solutions to the loading bay to minimize disturbance to the residents living just next to the new store. Ikea also donated a public bicycle station “Fifteen” to Goyang city to provide 140 bicycles for a more sustainable transportation option for the Goyang citizens.